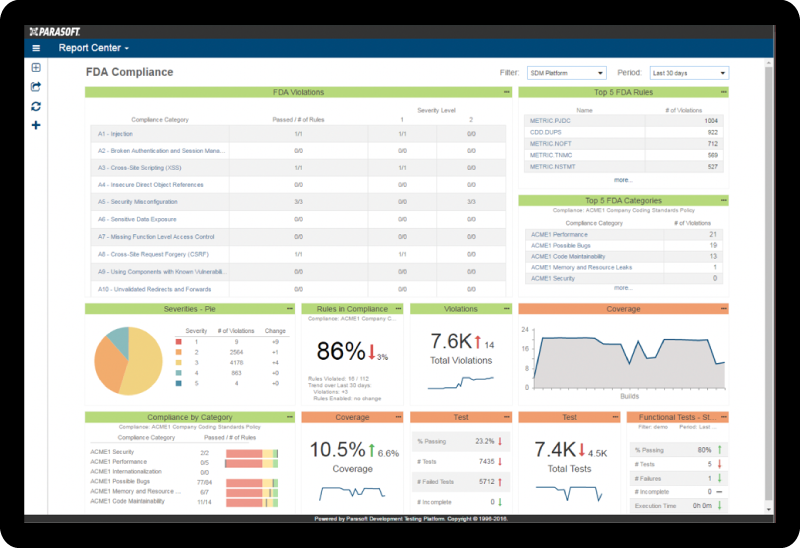 See a point-to-point index of FDA principles and the Parasoft capabilities that support them. Developing software for medical devices that complies with the FDA's Quality System regulation is a challenging endeavor. In this paper, we identify software development challenges that medical device makers face when attempting to integrate the principles outlined by the FDA, and describe how Parasoft’s automated defect prevention solutions help organizations overcome the challenges of an integrated SDLC approach. For clear compliance efforts moving forward, we provide a point-to-point index of FDA principles and the Parasoft capabilities that support them.